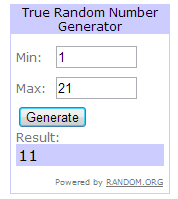 Edit: I can’t count–reminder to myself, don’t pick the winner of a contest this late at night. For about 5 minutes this post was up with the wrong winning name, to be fair to that person I’ll be sending two sets of passes out, one pair to Krystyna, and one pair to TJ (Posts 10, and 11). I used the Amazon $25 off $75 to buy my brother a gift card for Christmas. 1) I used mine to get $60 in GCs at the Fish Company, a local restaurant with an amazing fish market. Made some incredible poke last night. 2) gifts for the wife of course. 3) we usually find something in the ads that’s not overpriced. With a Sprouts across the street. The backup last resort is bird seed, it’s usually on sale and it’s a good mix that doesn’t ruin the lawn. 4) don’t think I’ll bother with Albertsons, but the one near us does have a decent British section. I’ve reached out to Krystyna and TJ and will be sending those passes out as soon as I hear back. Congratulations to them both. I Hope the passes go to good use!